Shop for Plastic free lifestyle and wellbeing products from a variety of different brands. Greener Beauty is always vegan, always cruelty free, only ever ethical brands and always toxic chemical free. The Organic Cotton Tampon with Applicator Super Plus 14 per pack have only one ingredient, pure organic cotton. 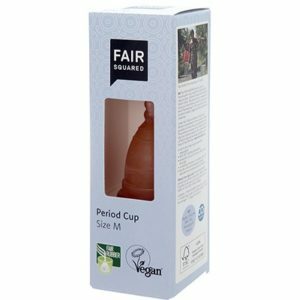 The pure organic cotton absorbent core is hypoallergenic as well as being biodegradable, making a natural tampon for safe wear every day. The Organyc Cotton Tampons Regular 16 pack offers a safe and natural way to effectively deal with a light monthly flow every month. From the cotton core to packaging, the Organyc organic cotton regular tampons are independently audited to ensure optimum quality and purity. 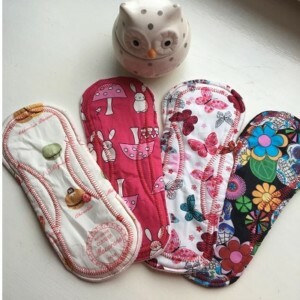 Even the cotton wool used for the absorbent, hypoallergenic core is created from cotton grown without artificial pesticides working in harmony with the environment. The Organyc Cotton Tampons Super 16 pack offers a safe and natural way to effectively deal with a light monthly flow every month. From the cotton core to packaging, the Organyc organic cotton regular tampons are independently audited to ensure optimum quality and purity. Even the cotton wool used for the absorbent, hypoallergenic core is created from cotton grown without artificial pesticides working in harmony with the environment. The Organyc Cotton Tampons Super Plus 16 pack offers a safe and natural way to effectively deal with a light monthly flow every month. From the cotton core to packaging, the Organyc organic cotton regular tampons are independently audited to ensure optimum quality and purity. Even the cotton wool used for the absorbent, hypoallergenic core is created from cotton grown without artificial pesticides working in harmony with the environment. The organic cotton tampons with applicator for regular feminine hygiene needs from Organyc have only one ingredient, pure organic cotton. The pure organic cotton absorbent core is hypoallergenic as well as being biodegradable, making a natural tampon for safe wear every day. 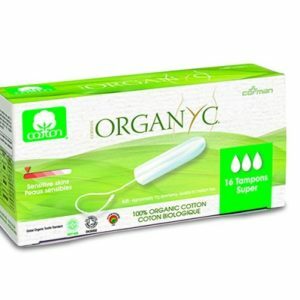 The Organyc Cotton Tampons with Applicator Super 14 per pack have only one ingredient, pure organic cotton. The pure organic cotton absorbent core is hypoallergenic as well as being biodegradable, making a natural tampon for safe wear every day.